And how much of the Nganasan in modern Finns is from Saami related gene flow? Doing the same test with Estonians might give some starting idea. Could you do that? Interestingly, Latvians are better modeled with no Latvia_MN and the usual ~48% Yamnaya admixture. I'll be the one to ask the awkward question but how does this model make sense when Latvia_MN 1 looks like a slightly WHG shifted version of Latvia_HG in all PCA? It doesn't look like anything that should be 73.5% EHG, let alone more loaded with EHG than Ukraine HG. (Tangent: I found Latvia_MN 1 worked well as a contributor to modern day East European populations in DoHA PCA btw. Is WHG enough in low dimension and is getting towards being EE loaded enough in some higher dimensions that split WHG, for whatever that was worth.). Latvia_MN1 contributes only ~4K SNPs to the Latvia_MN model above, hence most of the model is still based on Latvia_MN2, which contributes ~21K SNPs. When I ran Latvia_MN1 by himself, he did show a few per cent of Nganasan-related admixture, but because of the low number of markers, I just decided to show the Latvia_MN model based on the two samples. It corresponds well to anthropological findings of I. Potyehina who defined two types within Dnieper-Donets culturure: 1)the local well-profiled dolichocranic hunter-gatherers with broad faces (I2a2?) very similar to other European series 2)later mesocranic newcomers from the north (R1a?) (modern Belarus) with even broader faces which at the same time were somewhat flattened (a Mongoloid admixture?). OK, that could fit for a merge that is mainly by far Latvia_MN2. The Zvejnieki site is in northernmost Latvia, relatively peripheral territory for modern Latvians. Even though Latvian regional differences are not as significant as in Estonia, MN might show up in best fits if you tested a Latvian with all grandparents from that region. EBC samples with coordinates are from around Riga or southwest of it. Yeah, I edited the post. Siberian admixture is c. three times bigger in Saamis than in Finns, so it is quite far-fetched to propose that Saamis got their Siberian admixture from Finns, while it is well-known and linguistically proven that the Finnish language spread to the former Saami-speaking areas. On the other hand we know that the mtDNA haplogroups in the 1500 BC Kola Peninsula site look very much Siberian. We also know that Saamis and also Finns, to a smaller extent, carry Siberian mtDNA Z1a which was found in the ancient Kola Peninsula site. We also know that the Saami language contains a non-Uralic substrate while a non-Uralic substrate has not been proven for the Finnish language. The Finnish language is very close to Estonian and more distant from Saami, and, in general, Finnish is structurally not close to northern Uralic branches such as Saami or Ugric languages or Nenets but instead close to the southern Erzya language. The fact that the closest language relatives of Finns are Estonians who do not have much Siberian admixture does not support the idea that it is the people speaking the Finnish language or Finnic languages that are the cause of Siberian in Fennoscandia. But Estonians do have elevated Siberian admixture compared to Balts, despite the fact that they're very closely related to Balts and heavily mixed with them. So how do you know that Estonians didn't get their elevated Siberian admixture from their Uralic speaking ancestors? These Uralic speaking ancestors need not have been fully or even mostly Siberian. They may have had only as much Siberian admixture as modern-day Chuvashs, like around 20%. This would mean that modern-day Uralic speakers from around the Baltic are mostly of native origin, but with substantial Uralic admixture, perhaps greater than 20%. If the Uralic languages arose in the forest Volga area, as usually suggested, the original Uralic speakers may have been maybe 5-10% Siberian but the ancient evidence is unfortunately still lacking. However, the origin of Siberian in Finns is probably not (all) in the Volga area. There are indications that there was Siberian in Finland before the Uralic languages: Comb Ceramic Latvia MN2 is 7.6% Nganasan in your calculations and the ancient Kola Peninsula inhabitants may have carried even 30-40% Siberian on the basis of their mtDNA. In my opinion, Comb Ceramic people in Finland may have spoken a para-Uralic language, but I do not think that the ancient Kola Saami people spoke a language related to Uralic languages. Instead, they could have spoken a Yukaghir-related language. but I do not think that the ancient Kola Saami people spoke a language related to Uralic languages. Instead, they could have spoken a Yukaghir-related language. On what grounds do you make such a proposal as a linguist? Do you think there is a Yukaghir-related substrate in Saami languages? There was a typo. I should have written ancient Kola Peninsula people! As for a linguistic relationship between Saami and Yukaghir, to my knowledge the linguistic evidence is non-existing. My hunch is that if there are common roots, they are not restricted to Saami but encompass Finnish as well, often lacking in other Uralic languages. One interesting word is the Finnish word norppa, Ringed seal (Pusa hispida), cf. North Saami noarvi, Karelian ńorppa, Komi ńerpa, Yukaghir (T) ńierpe,(KD) nierpa, Russian nerpa, all meaning seal or a certain seal species. Is there a Saami substrate in the Finnish, Karelian and maybe also Vepsian languages to the exclusion of the other Baltic Finnic languages? If so, does that mean that Komi themselves are a later arrival north, or simply that the "European" admixture arrived later, and was more pronounced in Komi than Saami? Rob, yes, to my knowledge Komis went north quite recently. 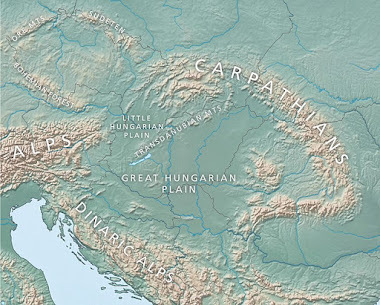 "Based on linguistic reconstruction, the prehistoric Permians are assumed to have split into two peoples during the first millennium BC: the Komis and the Udmurts. By the 16th-17th centuries, the Komis further divided into the Komi-Permyaks (who remained in the Kama River basin) and the Komi-Zyrians (who migrated north)." The northern Izhma Komis are well known settlers from the south, they haven't been that far north for more than 500 years. also to Kristiina: ancient Kola samples show mtDNA similarities to Yeniseians, not just Yukaghirs. They're too old to be derivatives of IA/LBA Altai though. Seems like there has been continuous geneflow from the east into europe since the LGM. Not suprising considering the more accomodating climate. I've always thought the Finnish K15 results were interesting. On plots they look clearly east European: shifted further east even than Ukrainians and many Russians. But strangely, their North Sea score is higher than that of the French or East Germans; about the same level as the South Dutch. Their unusually high East Euro score seems to mask this on plots, but they're strikingly more west European than than their non-Uralic neighbors. Their Y-Chromosomes show almost no recent Swedish influence, this is probably a legacy of a much earlier, perhaps proto-Germanic population. If you were to remove Finns and Estonians from your dataset and just model their scores as if they were an individual, what do they look like? Thank you. This tells me that there are probably multiple sources of "Siberian" for Finnish. Also interesting that Latvia_MN is higher for Finnish than for Estonian. Probably Finnish was less effected by late Neolithic / BA migrations from the South. That can be behind why even more Southern Latvians can't be modelled well with Latvia_MN. It is difficult to do a genetic reconstruction of the speakers of the assumed Uralic common language, partly because the last millennia was not exactly a success story for Uralic people (first the Mongols/Tatars, then the Russians), so some of the remaining groups around the proposed original homeland are peripheral or even refugees with unknown representation of their original genetic diversity. A few years ago I read suggestions that YHg N1c is an Uralic marker, but its frequency is not lower among modern Baltic speakers that among Estonians for example and they cannot be all assimilated Uralics (although some Latvians are). @Slumbery and re "A few years ago I read suggestions that YHg N1c is an Uralic marker, but its frequency is not lower among modern Baltic speakers that among Estonians for example and they cannot be all assimilated Uralics (although some Latvians are)." If I'm right, basically all Baltic N1c is L1025, TMRCA 2800 years. Whatever happened there is a late Bronze Age-early Iron Age success story. Besides, some of the early L1025 clades are just Swedish, some are just Finnish. If you were to remove Finns and Estonians from your dataset and just model their scores as if they were an individual, what do they look like? So you don't think there is any in Karelia_HG? Karelia_HG doesn't explain any of the extra East Eurasian ancestry in far Northeastern Europe. This was discussed in Haak et al. 2015, where they tried to model the ancestry of Finns, Mordovians and Saami. @Huck Finn You are correct about most Baltic N1c being l1025, infact most is M2783 which is even more downstream. However, I am almost certain there was older N lineages in the Baltic that have went extinct. Just look at the M2019 which has only been found in Estonia. M2019 is the brother lineage of L1026 (almost all european N1c). It should be noted that Estonia as a whole has had very little sampling done and is a potential hot spot for N1c. Doesn't Baltic N1c loook like a recent founder effect from Finland ? @Rob This is what I mean, M2783 is by far the main N lineage in Balts and this is likley due to a founder effect 2800 years ago. But there are older much less common N lineages in the Baltic. I think Uralic would be a better term than "post-Ancient North Eurasian (ANE) Siberian admixture" since you're using a Uralic group as the reference. M2783 likely originated from Estonia. Broushaki 2016's Tvd-fits (tables S24 and S25) indicate Estonian-like ancestry is the common denominator of M2783 range, in fact when Busby dataset without Estonians is used any comparable denominator is missing. "Karelia_HG doesn't explain any of the extra East Eurasian ancestry in far Northeastern Europe. This was discussed in Haak et al. 2015, where they tried to model the ancestry of Finns, Mordovians and Saami." Yes and chopsticks were not invented by flamingos. "If true, and it needs to be confirmed with more markers, then this individual [Latvia_MN], dated to ~6,000 cal BP, is the oldest European with this type of ancestry sequenced to date." Karelia_HG is dated to ~8,000 cal BP, is European, and appears to have this type of ancestry. Therefore making your premise false. If you do not believe this to be the case, then please offer an explanation for the following. Karelia_HG has East Eurasian-related ancestry, but it's not of the same type that distinguishes modern-day far Northeast Europeans from other Europeans. This different type of East Eurasian-related ancestry appears more East Asian-like. Like I say, this is pointed out in Haak et al. 2015. Latvia_MN2 might have this other type of East Asian-related ancestry, and if so, she's the oldest European sequenced to date to have it. But I'm not sure, because of the lack of power in the tests. If not, then my premise is wrong. Whoopie do. If there are two different types of East Eurasian ancestry in Karelia_HG and Latvia_MN2, then how does one distinguish between between them? The East Eurasian in Karelia_HG looks 'East Asian' as well (pulling strongly towards the Ami-Atayal-Dai-Han-Japanese sort of node as opposed to Onge). Karelia_HG and Latvia_MN2 don't have two different types of East Eurasian ancestry. They're very similar, except Latvia_MN2 just appears to have several per cent of the post-ANE, more East Asian-like, modern-day Siberian ancestry, while Karelia_HG doesn't, or only has a per cent or so. Obviously, there are ways to spot the post-ANE, more East Asian-like, modern-day Siberian ancestry, and differentiate it from the Karelia_HG/Eastern_HG stuff. I suppose I did it above and Haak et al. did in their paper. If you're asking for some D-stats ideas, I don't know what they might be. Haven't thought about it because the Latvia_MN2 sequence that I have doesn't have many markers. "The Dorset culture (also called the Dorset Tradition) was a Paleo-Eskimo culture (500 BCE–1500 CE) that preceded the Inuit culture in Arctic North America." "Archaeology has been critical to adding to knowledge about them because the Dorset were essentially extinct by 1500 due to difficulties in adapting to the Medieval Warm Period." "The Thule, who began migrating east from Alaska in the 11th century, began the displacement of the Dorset." similar displacement / transition in subarctic latitudes in western Eurasia having a knock-on effect along the southern border of those latitudes i.e. north Baltic? Shouldn't we use the new East Asian individuals from Devil’s Gate to clear up things a bit? We waited for a long time for ancient samples from East Asia and now that we have these 7.7 kya old samples from Amur Basin nobody is using them or discussing about them. We are talking about recent admixture events here, these ancestries should be separable using even modern proxies since they are chronologically closer than Mesolithic samples. And indeed looks like they are as Busby et al. 2015 using GLOBETROTTER came to the conclusion that the eastern influence in Fennoscandia and in populations of modern Volga region like Mordovians and Chuvash are from different sources, and that Iron Age events are involved. I have seen Dave using Ulchi in his calculations, and now we could sort out if ancient Amur individuals behave like Ulchi. Siberian Micro blade cultures are constantly taken up in the discussions about Siberian prehistory. To my knowledge, micro blade cultures extended to America and Amur. The so called Siberian component or Nganasan component has often been compared with Tungusic ancestry. Now we have 7 kya old samples from the Tungusic core area and people seem to think that they are not relevant to understanding the Ulchi/Nganasan ancestry in Northern Europe. However, a negative result would also be an important result. Iron Age samples surely contain recent Han like admixture from close to China. They should not be relevant for the Fennoscandian Mesolithic or pottery era history. Maybe he meant the problem usually seen in Admixture analyses. Individually tested sample results can differ from group results due to genetic drift. QpAdm is free of it. The ADMIXTURE component formed around Nganasans is generally artificial outside of Siberia, a result of drift. Busby et al showed it with haplotypes - non-outlier Nganasans belonged to the generic "Siberian" cluster which did not contribute in Europe. The ones that did were Yeniseian and Altai-Mongolian based respectively. Koreans share more drift with the higher quality Devil's Gate sample than Nganasans. With all probability, pottery reached Eastern Europe from the Baikal/Amur area, so why would any genes not be involved in this process. Shaikorth, yes, but in spite of this non-contribution Nganasans continuosly appear in the tests and are used to explain ENA in Europe. @human443, though in that context of D (Chimp MA1 Ami Onge) vs D (Chimp Karelia_HG Ami Onge) for various populations instead of Ami, note that it's MA1 that has enriched outgroup f3 statistic* sharing with Onge, and which fits the East Asian cline for Onge vs Switzerland HG sharing. EHG has less sharing with Onge. Position on those two clines is not consistent with EHG being an admix of MA1+WHG, let alone+East Asian admixture, and is consistent with EHG being intermediate between AG3 and WHG. *outgroup f3 statistics are said to be equivalent to f4 stats such that f3 (Mbuti MA1 Onge) is equivalent to f4 (Mbuti MA1 Mbuti Onge), which should be equivalent to D (Mbuti MA1 Mbuti Onge). Nganasans inhabit one of the remotest and most inhospitable areas on earth and are one the most drifted and inbred populations, so why on earth they should have contributed in any meaningful way to modern Europeans or anybody outside of the Taimyr Peninsula. ...I seriously have to ask, is English your first language? It's ok if it's not. "Karelia_HG has East Eurasian-related ancestry, but it's not of the same type..."
"Latvia_MN2 might have this other type..."
"Karelia_HG and Latvia_MN2 don't have two different types of East Eurasian ancestry." Sure, but my other implied question is really how would you square any ancestry from a shared East Asian+Onge clade to EHG with EHG having no increase in shared outgroup f3 statistic to Onge, when compared to WHG, AG3, SHG, and a decrease compared to MA1? A small bit of basal (from a CHG-like source) + A bit of East Asian should do the trick for Karelia_HG. From what I understand AG3 is pretty damaged, if it were not so I imagine it would behave the same as MA1. WHG is like it's predecessors in not preferring either, and SHG looks actually halfway between WHG and Karelia_HG (East Asian and all). Yes, English is my first language. And if you keep wasting my time here and insulting me, I'll start deleting all of your posts. Let's see how you like that. By the way, my post explains everything clearly and it covers a very simple concept that you can read more about in Haak et al. 2015. The reason I'm contradicting myself somewhat in the comments is because you're forcing me to explain in different ways the same simple thing, and quite frankly I can't be bothered. The problem appears to be that you don't understand, or you don't want to understand, what post-ANE Siberian ancestry is, and why it and its time of entry into Europe is important to the population history of a lot of Northeastern Europe. Sort out this issue before doing anything else. I don't understand why you are so hostile towards someone who actually agrees with every major point you make. Essentially in my comments here, all I do is encourage you to flush out angles you haven't covered that would make your points more convincing to others. That appears to be a fruitless endeavor however, so I will from now on abstain...No hard feelings, no disrespect. Keep up the good work. Speaking of Komi, they seem to be the closest(at least among the tested) modern population to WHG, which suggests that they're very close to EHG. They're not that close. They have significant East Asian and Basal Eurasian admixture, which was lacking in EHG. On the other hand, Latvians have almost no East Asian and probably less Basal Eurasian admixture than Komis. So you think that Latvians are closer to WHG than Lithuanians? I think that may be due to higher basal/CHG in Lithuanians but Lithuanians are supposed to have the highest(about 20-30%) actual WHG admixture whereas the majority of Europeans mainly just have EHG and/or SHG in case of Scandinavians. By the way, what do you think about the theory that the near eastern basal eurasian is actually a basal west eurasian whereas australoids are basal ENA? Some treemix runs are suggesting two basals-one for Natufians/Iran Neolithic and one for East Asians. >Sure, but my other implied question is really how would you square any ancestry from a shared East Asian+Onge clade to EHG with EHG having no increase in shared outgroup f3 statistic to Onge, when compared to WHG, AG3, SHG, and a decrease compared to MA1? Gravettians(MA1 is a mongoloid shifted Gravettian) had australoid admixture or an archaic partialy undifferentiated DNA component similar to Onge, Ust'-Ishim and ASI. AG2, AG3, WHG and EHG are much younger so they lost those ASE-like allele frequencies.